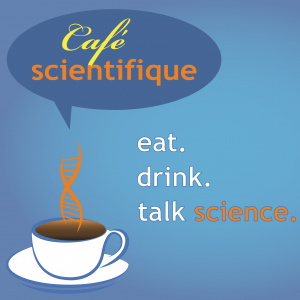 Montana State University researchers Frances Lefcort, Valérie Copié and Seth Walk will team up at the next Café Scientifique to present “Nerves, metabolism and bugs: How your brain, liver and gut interact to influence health.” The free, public event will take place at 6 p.m. Wednesday, Jan. 30, at the Baxter in downtown Bozeman. It is hosted by MSU’s Montana INBRE and COBRE programs. Lefcort, Copié and Walk will discuss new research opportunities emerging at the intersection of microbiology, neuroscience and metabolism – or “the gut-brain-liver axis” as Lefcort calls it. “It turns out that there’s extensive communication between the brain and the microbes that live in your gut, and that communication is a very promising area of research for understanding neurodegenerative diseases like Alzheimer’s, Parkinson’s and ALS,” Lefcort said.